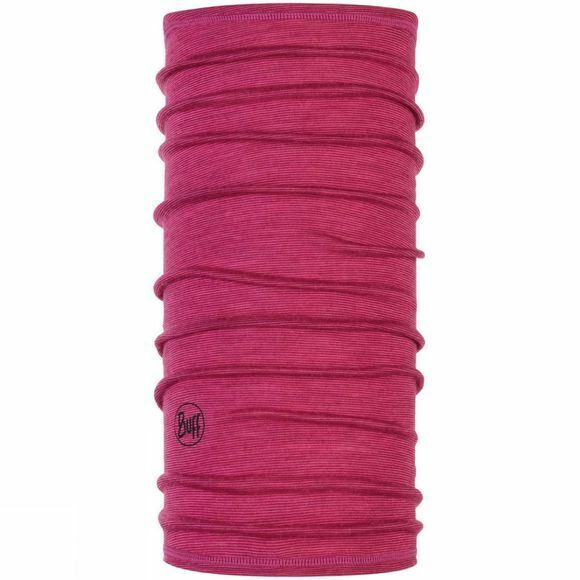 Men's Lightweight 3/4 Merino Wool Headband from Buff is made from soft Merino wool fibers which prevent bacterial growth by wicking and curbing any possible smell before it begins. Sweat and moisture are transported through the fabric away from the skin. It also provides comfort and helps keeping body temperature stable. The one-piece tubular fabric is made without any threat or sewn piece, giving maximum skin comfort. Buff products are made from a high-performance microfibre that allows them to be both breathable and moisture wicking, as well as wind resistant. Seamless construction, achieved through a unique knitting processed developed by company founder Juan Rojas, gives Buff multi-functional headwear a supremely comfortable, chafe-free fit for all day use in even the harshest of conditions.